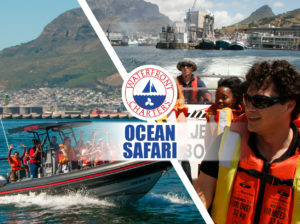 Waterfront Charters most popular cruise! 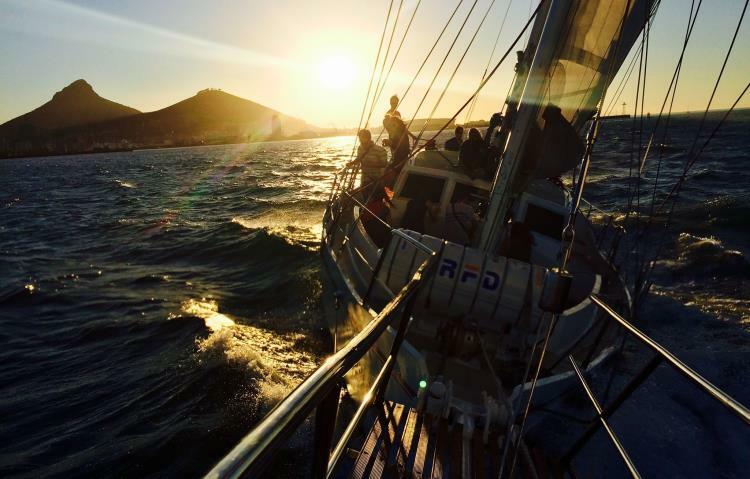 A glorious evening cruise; an ocean view of the sun setting over the Atlantic horizon, and the Cape mountains a spectacular backdrop. With chilled sparkling wine to toast the occasion, it’s the perfect end to any day. 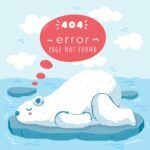 You get 10% off from our regular Rack Rate when buying online. Add a Cruise & Dine Dinner Add-on and get another 10% off! 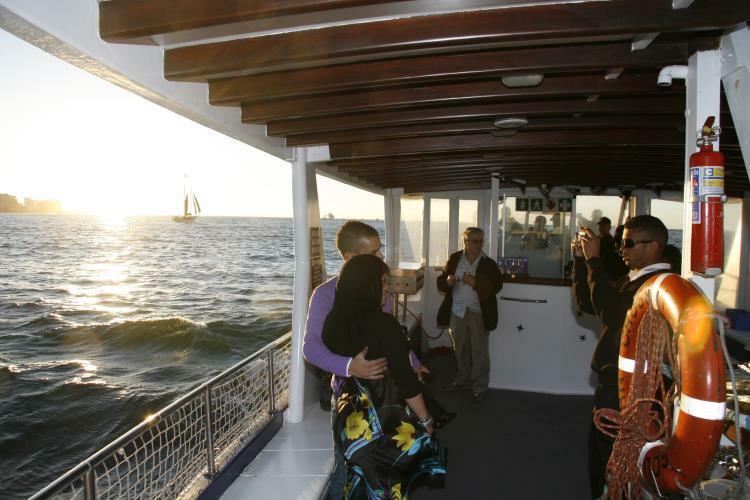 Please note that there is not a fixed sailing time for the Sunset Cruises. 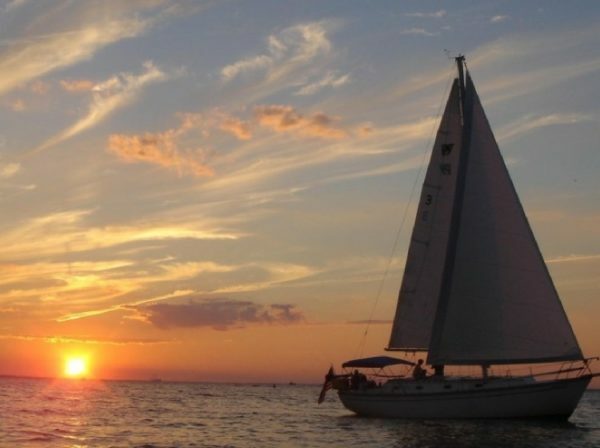 Due to the constant change in time of actual sunset, our cruises depart earlier in winter and later in summer. REFER TO THE SCHEDULE OF DEPARTURE TIMES ON THE WEBSITE WHEN BOOKING YOUR TRIP. 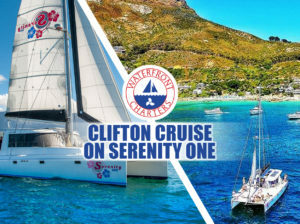 The sailboats Esperance and Serenity Onefollow the wind for this cruise. They do not offer a specific destination for this reason; you will be advised before departure as to the expected direction. 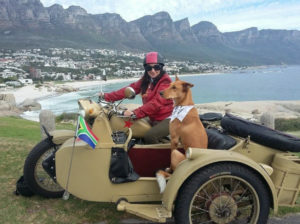 The typical Cape Town summer wind blows from the south-east; the boats use the motors to leave the harbour and then they sail across Table Bay towards Milnerton lighthouse, returning to the protection of Granger Bay in the lee of Table Mountain to watch the sunset, and then motor back to the Waterfront. 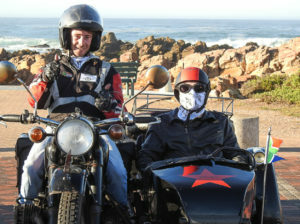 In the winter months with the northwester prevalent, the direction taken will be toward the Clifton Coastline, or the Robben Island Coastline, also returning to Granger Bay. The wind and sea conditions change daily so the routing and style of the trip also change to meet the conditions; the skipper and crew will give you the best possible adventure. 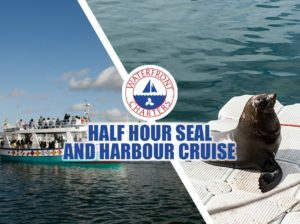 For all the vessels, when the seas are running too high or the wind is unpleasantly strong, instead of heading into Table Bay the destination is the Cape Town Harbour for a Harbour Lights Cruise; a perfect alternative offering magical views of Table Mountain and the lights of Cape Town and the harbour in the evening. In extreme conditions, the skipper will take every aspect into account, and even stay dockside to ensure the safety of the passengers . 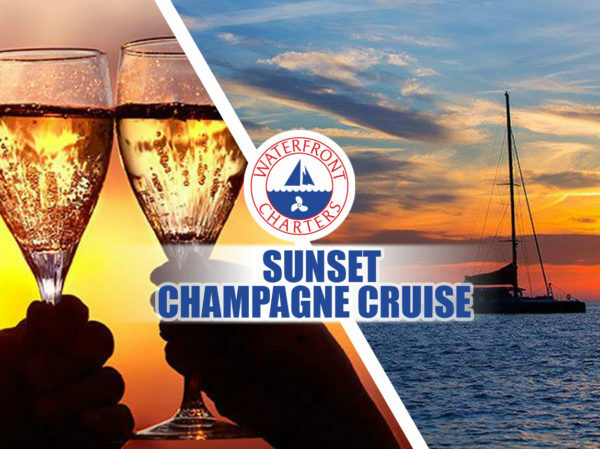 If you wish to book for these Special Occasions, we encourage you to visit our EVENTS PAGE, or click on the date above to book your cruise. They are very popular cruises, so it is advisable to book early. The Sunset Champagne Cruise DAILY departure times are dependant on the constantly changing time of the actual sunset. The time changes in the schedule below are valid for the period between changes: e.g. at 18h15 for the days between the 18th October and the 12th November. 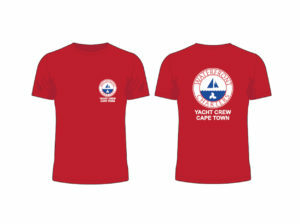 Remember to redeem your voucher at least 30min before departure time at our head office. Note: This is not the departure time.